The SONOS Connect is a fabulous product. Massive amounts of time have spent on design and It has one of the best interfaces around. It's obvious of the efforts put into the functionality of the unit, and not so much into the audio quality. This is where we come in! This is indeed a product worthy of a Wyred 4 Sound modification. We can transform this great product into a killer sonic bargain. Why? Because it's built well, has many bells, but no whistles. We will make up for the last 20% that makes the product a joy to listen to. This upgrade entirely bypasses the mediocre Cirrius Logic CODAC and the associated high jitter clocks. The mod was designed to integrate the SONOS system into your high end audio system through an external DAC. This new custom board is installed in the SONOS and directly converts the I²S into up-sampled SPDIF. This new ultra clean low jitter signal is now available through both the Coax and Optical digital outputs. The SPDIF output's sample rate can be factory configured to 44.1, 48, 88.2, and 96kHz. We suggest selecting 96kHz. Some DACs can miss-read the status bits for the proper resolution when outputting the signal at 96kHz causing problems with playback such as listing the incorrect resolution. If a Wyred 4 Sound DAC is being used then the 96kHz will work properly. The sonic benefits are quite dramatic. An entire level of low level grunge (harsh) is removed from the sound. This improves the low level detail and imaging. The bass is now much tighter and controlled inner detail and transient attack are both greatly improved. It is important to note that the modification does not allow the SONOS to play high resolution files. 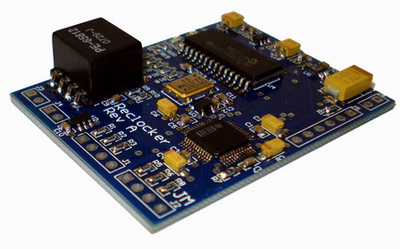 It does greatly improve the sonic quality of the digital outputs. The upgraded SONOS Connect in our system streaming lossless ripped CD's over our 100Mbps network, is now a true high-end source. Now with the Connect, you can enjoy the added benefits of SonosNet 2.0 which the ZP-80 did not offer. The latest wireless mesh network technology provides double the wireless range for whole-house coverage, ensuring synchronous music playback, and avoids sources of wireless interference. Which means the music gets to all the right rooms- near or far- at exactly the right time. 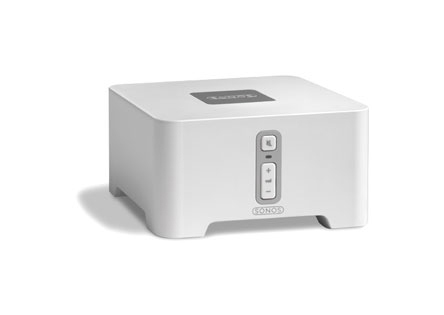 For customers upgrading their current Sonos please provide your login and password (please create a temporary password). By having your credentials we can preserve Playlists that you have saved on your unit. After spending the last several days carefully listening to various music sources, including Deezer FLAC and Apple Lossless from my NAS, I can report that the audio has never sounded so good. The modification is covered under warranty for a period of 90 days from the date of purchase. New Sonos units are covered by Wyred 4 Sound for 1 year from the date of purchase. This is separate from and excludes any warranty provided for the SONOS component itself. Please Note: The modification can be installed in the SONOS ZP80, ZP90, and Connect. We recommend the 96kHz mod. for best performance. Select New SONOS Connect or SONOS Connect Upgrade when adding the product to your shopping cart. If you would like your existing SONOS upgraded and have selected the SONOS Connect Upgrade, follow the instructions below containing instructions for sending the unit to our facility. Pack your unit in the original factory packaging and write the sales order number clearly on the outside of the box. Include a copy of the sales order that was emailed to you inside the box. You do not need to include accessories such as the power cord, manual, etc. After the unit is upgraded and fully tested it will be returned to you at the address provided on the order form. We will email a completed invoice and tracking number so you can follow the progress of your upgraded SONOS! Please be aware that any hardware modification will void the original Sonos warranty and may result in an inability to receive future hardware upgrades to Sonos devices. Wyred 4 Sound is not affiliated with Sonos, Inc. Sonos and Connect are trademarks or registered trademarks of Sonos,. Inc. in the US and other countries. The warranty period for the Wyred 4 Sound modded Sonos is one (1) year. With a little love from Wyred4Sound the Connect is easily up there with the best on SQ. As it is, the modded Connect I think is priced just right. It really outperforms the stock unit by a large margin and I can heartily recommend it to all Sonos owners that want to know what their Connect is really capable of. After spending the last several days carefully listening to various music sources, including Deezer FLAC and Apple Lossless from my NAS, I can report that the audio has never sounded so good. While the Wyred 4 Sound enhancements are not inexpensive, I feel that the money is well-spent for anyone looking to provide the best audio experience. To me, the audio is now more focused and more detailed. Besides, if the music gives you goosebumps, that is priceless! +1 Wow am I impressed with W4S support. Really top shelf. For a company to support the base product their mod goes into is a step above and beyond. Bravo! I am really digging this thing running through my tubed DAC. You never really know what you're hearing sometimes unless it's NOT there. Dead silent background. No noise or hiss in the upper ranges just smoother. Dynamics on bottom end very nicely improved. And I just played a couple upsampled ripped cd FLACS....very nice improvement from basic cd playback. Happy customer. Connected Sonos Connect Mod by Kimber RCA cable to Weiss DAC this morning. Running TIDAL HiFi. Outstanding sound!